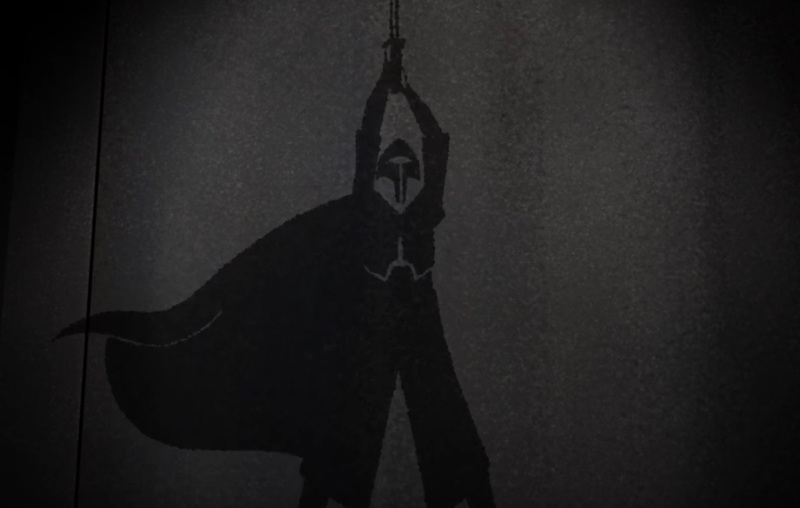 In the beginning of last night’s episode of Star Wars Rebels, we learn about the origins of the dark lightsaber (a.k.a. the darksaber). 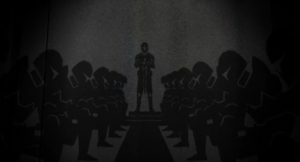 At the outset of “Trials of the Darksaber”, Kanan summons Fenn Rau, a Mandalorian, to ask him about the darksaber. Sabine had picked up the darksaber on Dathomir, in its first appearance on the show, in episode “Voices and Visions”, but, according to Kanan, had left it with him. Legend tells that it was created over a thousand years ago by Tarre Vizsla, the first Mandalorian ever inducted into the Jedi Order. After his passing, the Jedi kept the saber in their temple. That was until members of House Vizsla snuck in and liberated it. They used the saber to unify the people and strike down those who would have opposed them. One time, they ruled all of Mandalore wielding this blade. This saber is an important symbol to that house and respected by the other clans. From Rau’s description, it’s fascinating to hear of a Mandalorian Jedi (and that there were more than just him, since he was the first). It’s not clear, though, why the Jedi would keep the darksaber in the Jedi temple, nor how Tarre Vizsla was able to create the darksaber. 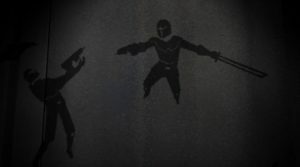 While the sneaking in and liberating it by House Vizsla was something we had heard in Star Wars: The Clone Wars, as described by Pre Vizsla [during the first time we see the darksaber on-screen], it was interesting to learn that it was created by a Vizsla. It is furthermore fascinating to learn that House Vizsla used the darksaber to unify Mandalorians, as well as ruling all of Mandalore while wielding the blade. It’s also impressive to learn that it’s an important symbol to that house and to other Mandalorian clans. Once again, as I had wondered previously, why does Maul [seemingly] no longer use the darksaber in Star Wars Rebels? Is it because he tried using it (following the events in Darth Maul: Son of Dathomir) and Mandalorians did not care about his wielding it? Are there other reasons? Perhaps that’s a story for another time. From the beginning of last night’s episode, we learn that the darksaber is important for House Vizsla, as it was created by one of their own, the first Mandalorian Jedi. 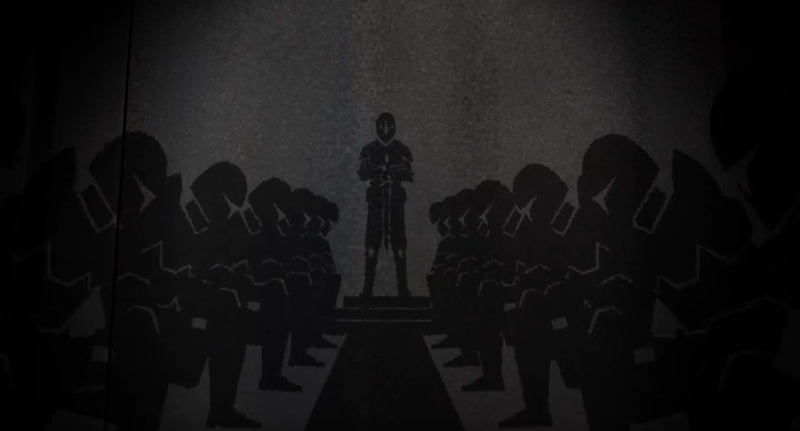 Furthermore, it became an important symbol both for their own clan, as well as the other Mandalorian clans. It is clearly an important artifact for the Mandalorian people….